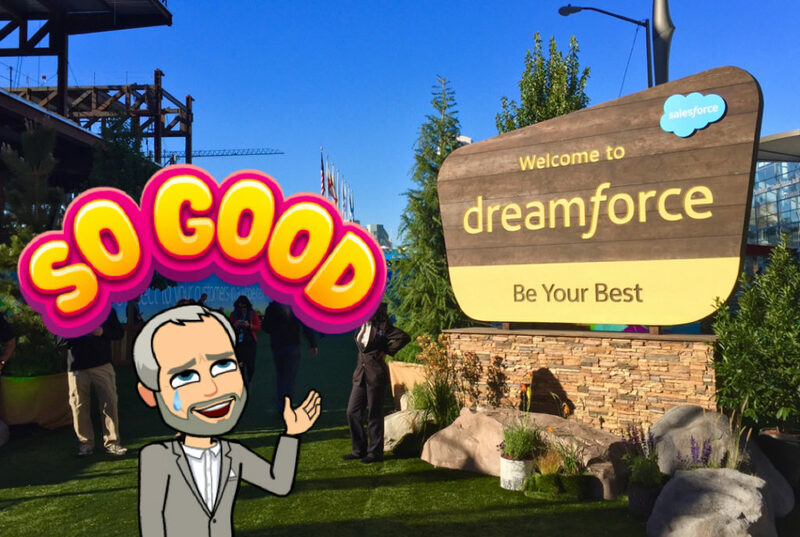 This was my first Dreamforce conference and while I enjoyed seeing U2 and Flo Rida, I was there to learn more about Pardot and the Salesforce universe. My newest Marketing man-crush, I had the chance to attend two of Cliff Seal’s presentations and I’ve become a fan and disciple. Cliff Seal introduced me to the concept of “Design Sprints.” Created by Google Ventures, Design Sprints seem like a mash up of the Socratic Method, Agile Development and Rapid Prototyping focused on developing new products. I will be learning more about this tactic, but Chris suggests this process can be used to drive more customer value and Marketing campaign effectiveness. A primary challenge with Sales and Marketing systems is the upfront and ongoing effort required to accurately configure systems to suit your businesses needs. During configuration you’re describing your businesses values and business model to the software package. You’re turning analog into digital. It takes an immense about of iterative effort and is difficult to get a software package to understand the circumstances and rules of your particular business. With the promise of Artificial Intelligence in Salesforce – the SOFTWARE learns about YOU by connecting unseen dots in your data. Imagine not having to define personas, customer life cycles, prospect grades and scores, automation rules, etc. If it works as demonstrated, and it may take a few iterations to work perfectly for most customers, Salesforce will use AI to make the right offer to the best prospects at the best time. I’ll start off as a doubting Thomas, a lot goes into understanding a business operation, but if AI works for Google, Facebook and Amazon – I imagine it can work for Salesforce too. I’ve never worked with an organization as committed to customer satisfaction as Salesforce. Most of my experience, albeit short-lived, comes from working with Pardot. Here are a few examples demonstrating how Salesforce commits to helping customers succeed. The app provides attendees with everything they need to have a productive event including: personalized agendas, and walking directions to your sessions. Salesforce provided recommended course tracks by segment or industry to help customers and prevent anyone from feeling overwhelmed by the hundreds of available sessions. At just about any moment you could turn around and ask a Salesforce representative for directions. Sounds simple but remember there were over 170,000 attendees and the event is stretched over much of downtown San Francisco. It’s very easy to get turned around. Success Community – the Salesforce community is the best online product community I’ve ever used. When I post a question to the community, it is always answered. Often a Salesforce employee answers but it’s just as likely that others in the Salesforce community, such as users and integrators, will offer suggestions. In my experience, this is uncommon. Sure, perhaps strong lifestyle brands have a loyal and vocal customers, but rarely do I see such a vibrant support community behind a tech brand. Pardot Customer Advocates – These people are simply the best. Don’t believe me? Check out their support site. The team is there with Open Hours everyday to answer questions and give advice. Here’s my newest example. I brought a list of questions with me to Dreamforce. I attended a Pardot live strategy session with the Pardot Customer Advocates and came with solutions to my questions. I can’t wait to put new practices into operation. The People – Every person I met, be it an account rep, service manager or support person seemed genuinely interested in how my organization is doing within the Salesforce ecosystem and offered suggestions on how to get the most of out of Salesforce.